We pride ourselves on our ability to create long term relationships with our clients. We have worked for Crown paints for over 28 years, testing their portable appliances and Emergency lighting. We have designed and installed flame proof control panels and carried out thermal imaging work. As an approved contractor for Calico we regularly carry out testing and inspection for them as well as carrying out a bespoke switch gear installation for their head office. IKEA asked us to test their sprinkler systems in every store nationwide. We completed the entire body of work in a timely manner and around each individual store’s schedule. We will always endeavour to cause no interruption to a company when we are working in their premises. We test the portable appliances for the entire Univeristy of Manchester Innovation Centre, including UMIC, UMIP, UMI3, and Epistem. They have trusted us to test their premises for over 15 years because they know that we can deliver the level of quality that we pride ourselves on, without disturbing any of their lab equipment. Carrying out reactive maintenance and always delivering an outstanding finish, gave Tameside the confidence to ask us to test Hyde Market for them. We look forward to a long working relationship. 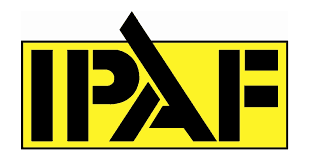 We have worked alongside JDP for over 15 years. 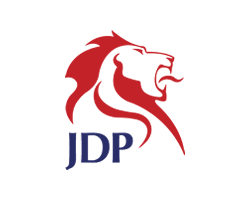 JDP are a nationwide company with branches throughout the UK, they trust us to deliver a full service testing package in every branch. We carried out an extensive Fire alarm & Emergency lighting inspection, even commissioning a bespoke finished book detailing all of the work carried out and explaining the test results. Time Inc are a new client, we test their portable appliances and for a company with so many, they can rest easy knowing that our service will take the stress away from them. We have worked alongside BlueChip Marketing for over 15 years , testing their portable appliances. Because all of our engineers are DBS checked, Kearsley West trust us to complete their portable appliance Testing. As an approved contractor, we look forward to a long and successful working relationship.